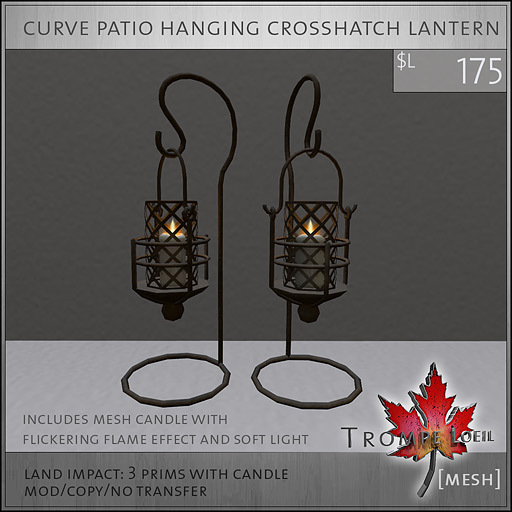 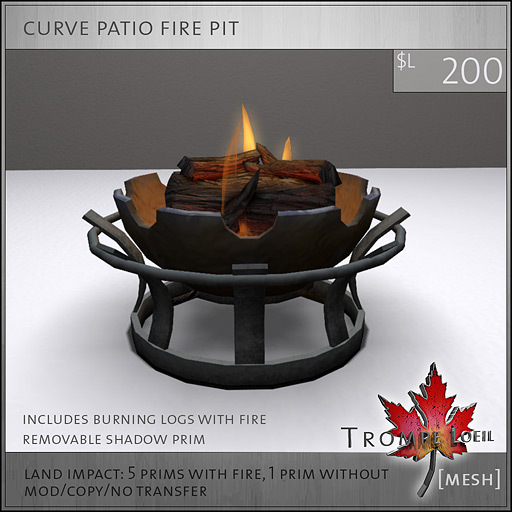 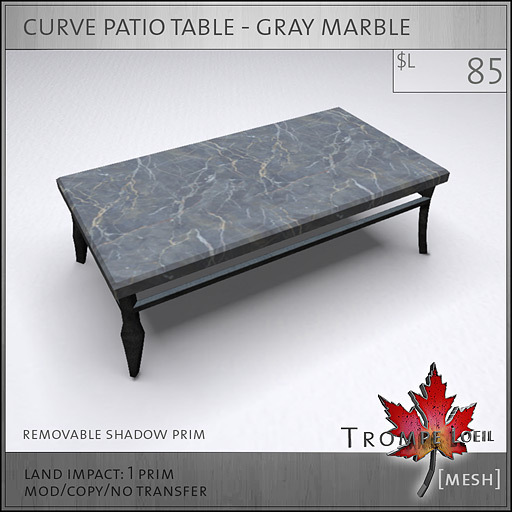 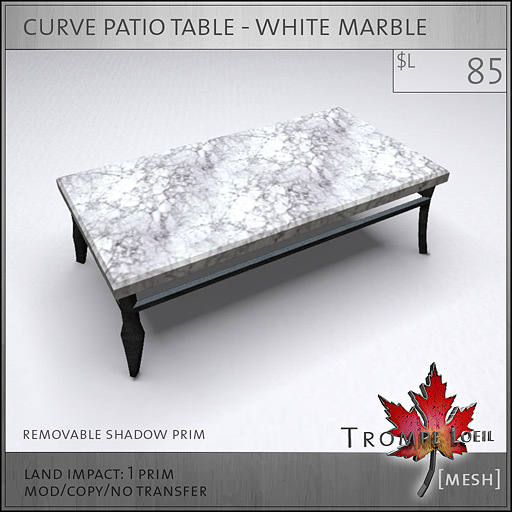 Trompe Loeil is a guest for this month’s Stumblebum shopping event, and we have a huge selection of new mesh patio furniture just in time for the sunny summer home makeovers at great introductory prices! Our new Curve Patio furniture line includes animated couch and chair sets in 8 color and pattern combos, marbletop patio tables in a choice of 4 colors, a mesh fire pit and tabletop hanging candles! Mix and match for your favorite look – they’re all mod/copy for economical decorating! 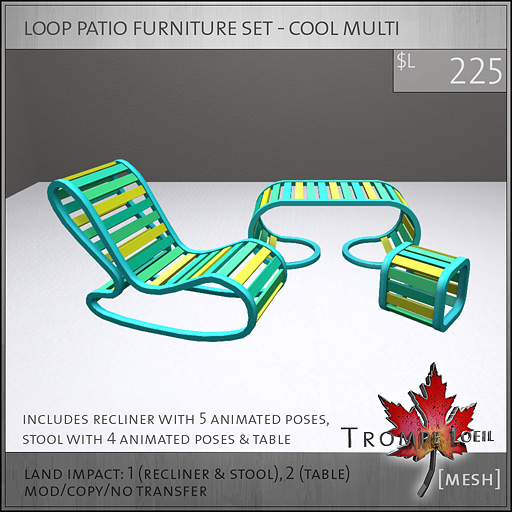 If you’re looking for something sleek and modern to put by the pool, check out our new Loop Patio furniture sets – animated recliner and stool plus table all for one low price, in your choice of 3 fun color combinations! 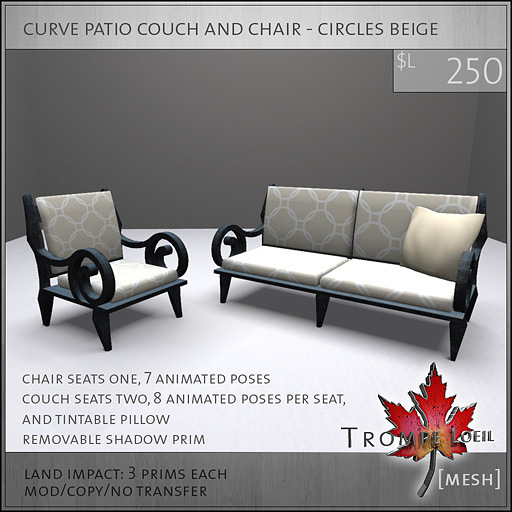 Each new item is out on display at Trompe Loeil now, so swing by and view our demo pieces for yourself – then pick them up before Stumblebum ends on April 30 to take advantage of up to 25% off the regular price!